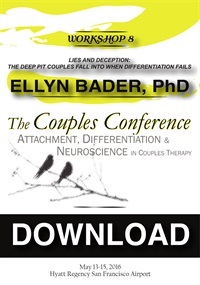 Ellyn Bader, PhD, is a founder and director of The Couples Institute in Menlo Park, California. 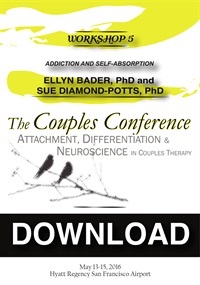 As a clinical psychologist, workshop leader, author, and speaker, she is dedicated to helping couples create extraordinary relationships. 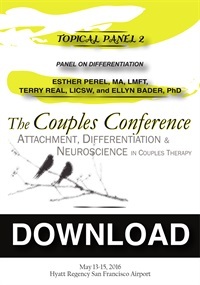 Over the past 30 years she has trained therapists in couples therapy throughout the United States as well as Europe, Asia, South America, and Australia. 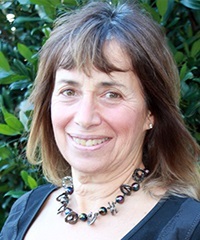 She served as a Clinical Faculty in Stanford University School of Medicine for 8 years. 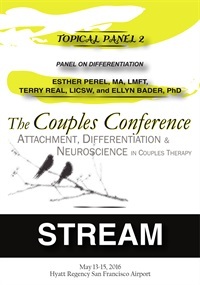 Why Differentiation Matters Topical Panel with Ellyn Bader, Peter Pearson and Judith Anderson.